It’s already the middle of July and this weekend was the first time that I put a bathing suit on. Honestly, between you and me…this doesn’t have to happen again. Why do bathing suits have to be so UNFLATTERING! Ugh. I should just wear a T-shirt or a trash bag. But Oh well….I guess I didn’t get too upset, because after swimming all day, all I wanted was ICE CREAM. 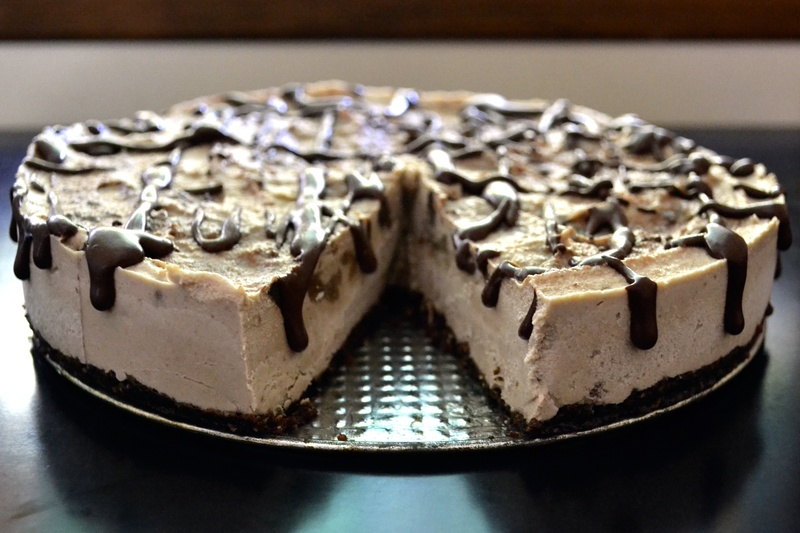 So I promptly made this amazing dairy free and grain free banana ice cream cake to go along with ribs that we smoked. Maybe this is why my bathing suit is unflattering? Ice cream cake + ribs? This cake is amazing. Creamy. Dreamy. Guiltless. 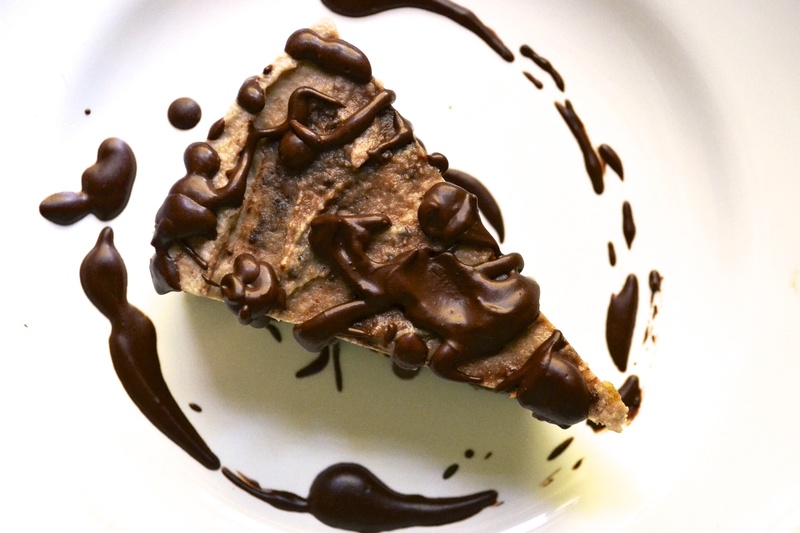 It is made with cashews, bananas, dates, hemp seeds, raw cacao powder! Ya…shhhh….it’s good for you. 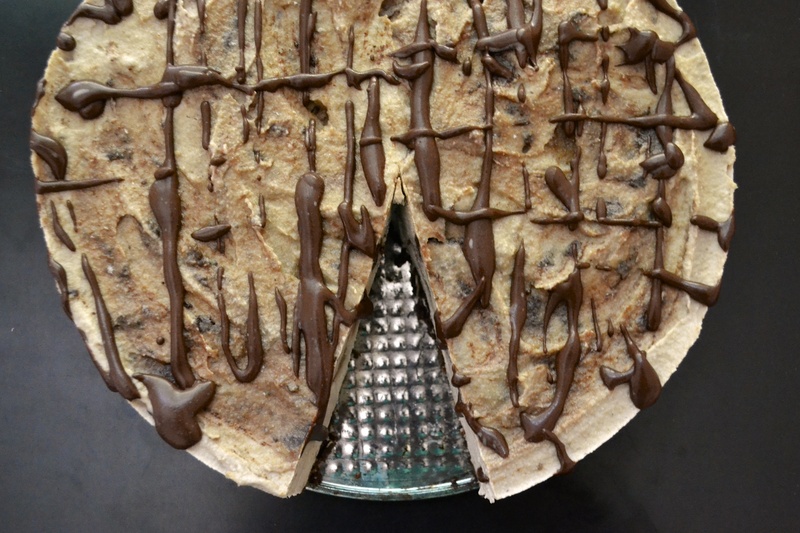 So I will just serve myself up another slice of cake…banana ice cream cake, that is. And I will eat it in my ugly, weird fitting, old bathing suit. And be happy. 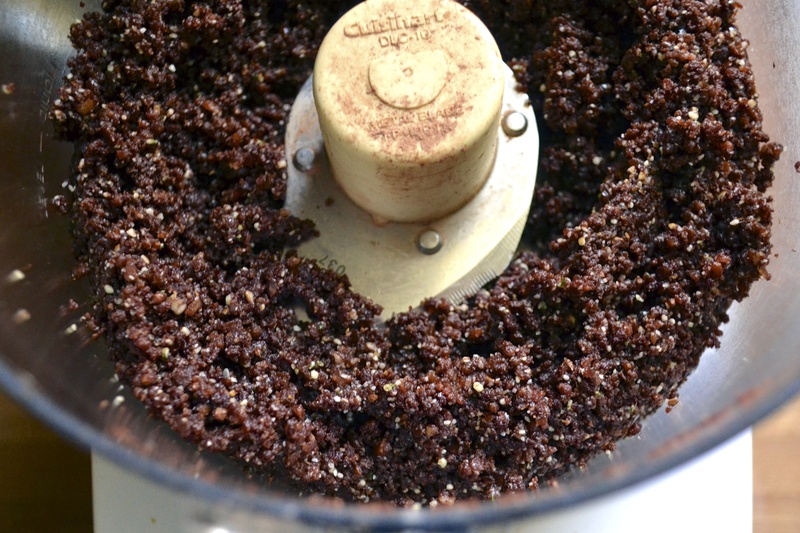 Crust – In a food processor, place nuts, hemp seeds, raw cacao powder (or cocoa powder), and salt. Pulse until the ingredients combine to make a flour like consistency. Add dates and process for a few minutes until it forms into a paste. The mixture should hold together when you pinch a small amount between your fingers. In a springform pan, place wax paper or syran wrap on the bottom. Press crust evenly into the bottom of the springform pan only slightly coming up the sides. Set in the freezer while preparing the filling. 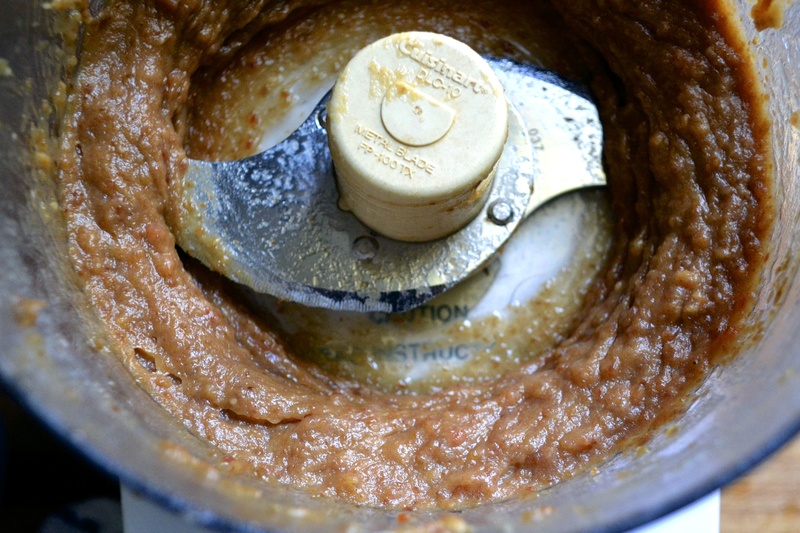 Caramel Sauce – Clean out food processor. Place soaked dates and 1/4 cup of water in the bowl of the food processor. Process for several minutes until a caramel-like substance is formed. Add additional liquid as necessary. Add salt. Spoon into a separate bowl. Clean food processor bowl for next step. Banana Ice Cream Filling – Microwave the coconut oil in a small Pyrex dish for 30 seconds until mostly melted. Place all of the filling ingredients (except the caramel sauce) into the bowl of the food processor and blend on high-speed for several minutes until very smooth. Chocolate Sauce – In a separate bowl, combine cacao powder and 1 tablespoon of warm water. Stir carefully until a fudgey mixture is formed. Add warm water 1 tablespoon at a time until a drizzleable (is this a word???) fudge sauce is formed. Stir in melted coconut oil at a tablespoon at a time. Keep mixture warm or it will harden. Pop in microwave if necessary. Assembly – Remove the crust from the freezer. Pour about two-thirds of the cashew mixture onto the crust and smooth evenly with a rubber spatula. Swirl in half of caramel mixture and alternate with 1/3 of chocolate mixture using a butter knife. Top with remaining filling. And swirl in remaining caramel sauce and another 1/3 of chocolate sauce. Drizzle any remaining chocolate sauce on top. Place in freezer for about 2 hours or until solid. Serving – To serve, remove from freezer about 30 minutes before serving. Heat a smooth and sharp knife under hot water and cut the pie into 8 slices. Serve with any additional chocolate sauce. Store any remaining pie in the freezer.